Kagoshima prefecture is the country's second largest area of tea leaf production, but this is a development that has only happened recently. For a long time, Kagoshima was very weak as a brand – being known only as one part of other, more famous brands. However, Kagoshima's warm climate is perfectly suited for growing a wide variety of tea leaves. 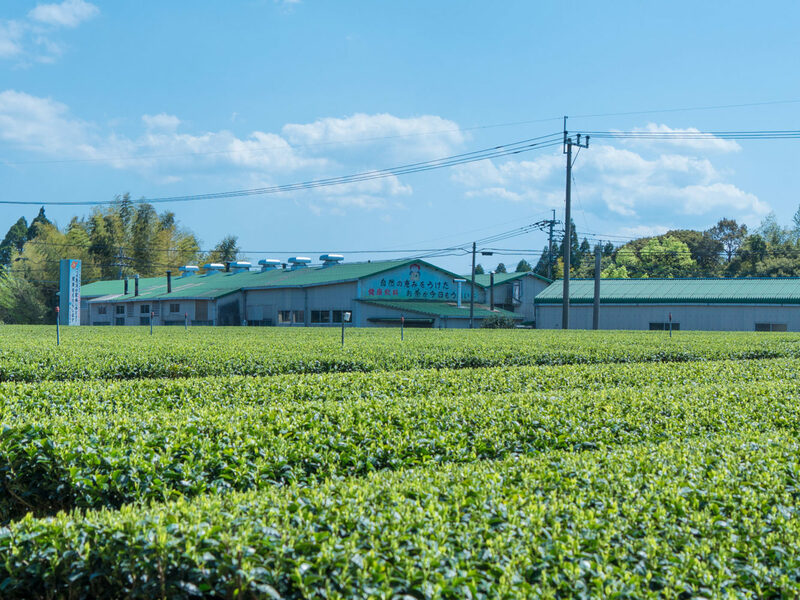 Our steady improvements have resulted in higher and higher quality tea leaves, and Kagoshima tea's tastes and flavours are have become known for being some of the best in Japan. 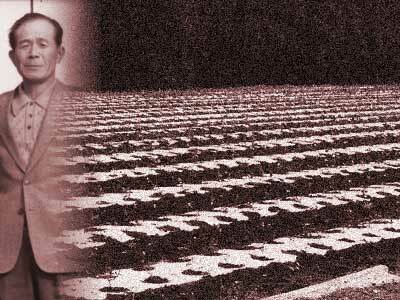 The first tea plantation owner, Kamimuro Yoshizumi, planted a sapling in 1948, a time when Kagoshima tea was still unknown. The area’s “Ariake” land has fertile volcanic soils, known in Japanese as “Kuroboku” and “Akahoya,” a warm climate, a big difference between daytime and nighttime temperatures, as well as abundant spring water. These various environmental factors come together just perfectly for growing Kagoshima tea. However, Yoshizumi wasn't interested only in the practicalities of being a tea farmer. He dreamed that Kagoshima tea would be recognized all over the world. 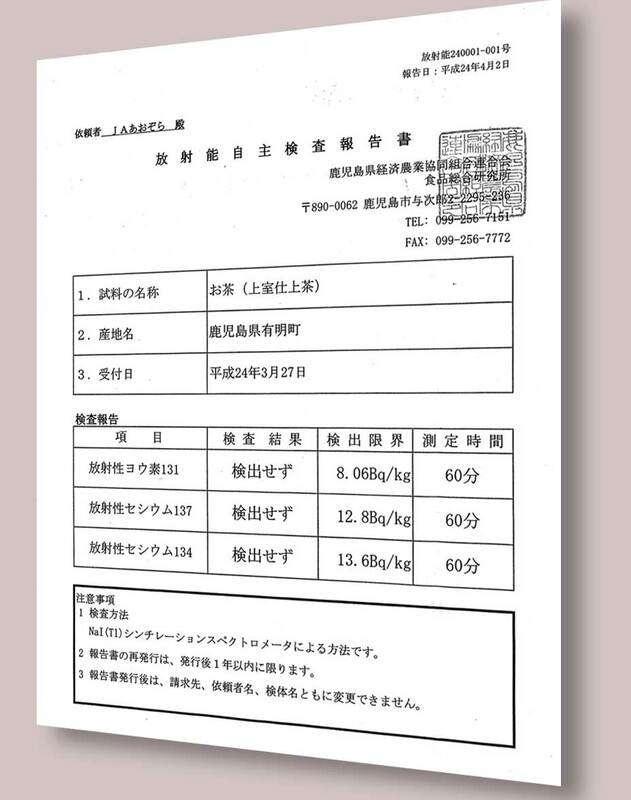 Not only did he ship the tea leaves, he also took full responsibility for the process of selling that tasty Kagoshima tea. 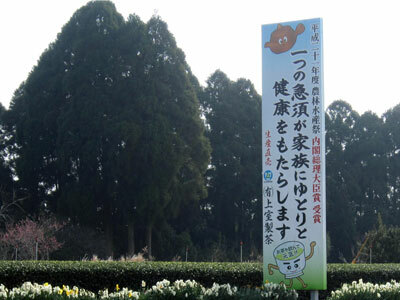 More than 60 years have passed since Kamimuro Yoshizumi’s first generation, planted the sapling tea in Ariake. The intentions of the tea makers are simple. They dream that those who drink Kagoshima’s tea allow the smells, warmness, and even the sound of the pouring tea to penetrate their bodies, enjoying the taste, colours and sounds of the experience. They believe that through this process people can achieve a piece of mind. 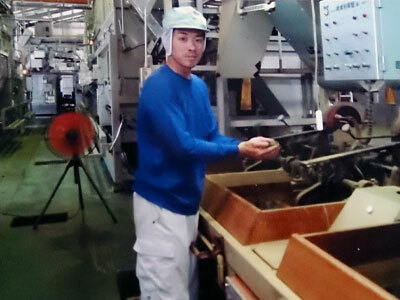 For the third generation of Kamimuro tea makers, this will won’t change. For those that have grown up in the tea garden, this is a perfectly natural process: “a five senses” approach which they take to the quality of every leaf. Whilst it is a simple thing that tea makers desire, nonetheless, change is required in order to maintain that level of achievement. We need to produce Kagoshima tea that meets the needs of the time and the senses of the people. As such, the tea makers have integrated flexibility into the manufacturing system, from growing the tea leaves to selling the tea. We grow 9 different types of tea leaves, each with its own carefully selected steaming, rubbing and blending process designed to give optimum results. 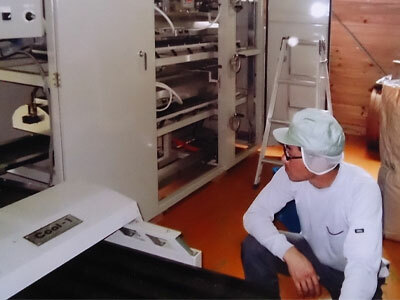 Tea makers change the processes according to the demands of the current time, in order to keep on pursuing and achieving their goal of a perfect product. Good quality tea leaves from good quality soil. Kagoshima tea leaves grow on the fertile land of Ariake. Of course, the land is in good hands under the farmers’ care, with their generations of experience, but they do not rely on this alone. Not only do they record the tea garden's condition, but also the soil is frequently examined by a specialized institution in order to control the balance of nutrients in the soil such as nitrogen, phosphorus, calcium and magnesium. 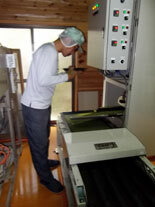 The quality of tea leaves is not always constant - not only for Kagoshima tea but also for any other tea manufacturer. In Japanese, there are different tea names which refer to the different quality of the leaves: ichibancha(shincha), nibancha, sanbancha and yonbancha. These depend on the time at which the leaves are picked.Kamimuro tea makers only choose the especially high quality tea leaves, ichibancha and nibancha. In addition, in order to maintain a good quality of roasting, we separate and sort the tea leaves into 10 different shapes and sizes in order to differentiate the levels of roasting. It is common for tea producers to try and promote their products through demonstrating the difference from their competitiors. For example, “chemical free” and “organic” are commonly used labels to advertise tea. The Kamimuro tea makers think the “difference” of their product is in the essence:“how customers can enjoy Kagoshima tea spreading throughout all five senses”. The key to achieving this, for Kamimuro, is “fewer agricultural chemicals” – a result of the abundant use of natural water. Organic and chemical free are difference which extreme way to grow tea leaves. However, when we consider the stresses on tea trees, we think well balanced and tea trees friendly ways will make tasty and beautiful Kagoshima tea. In Kamimuro tea garden, we promote sprinkle natural water in order to defend harmful insects. It helps to reduce the times of crop spraying from 10 times to 5 times in a year. Of course, the harmful agricultural chemical doesn’t remain and we check it and the radioactive substance less than detectable rate. Place the tea leaves into teapot (2 heaped spoons will be enough for 3 people) and pour the hot water into the teapot. Let sit for about 30-40 seconds.